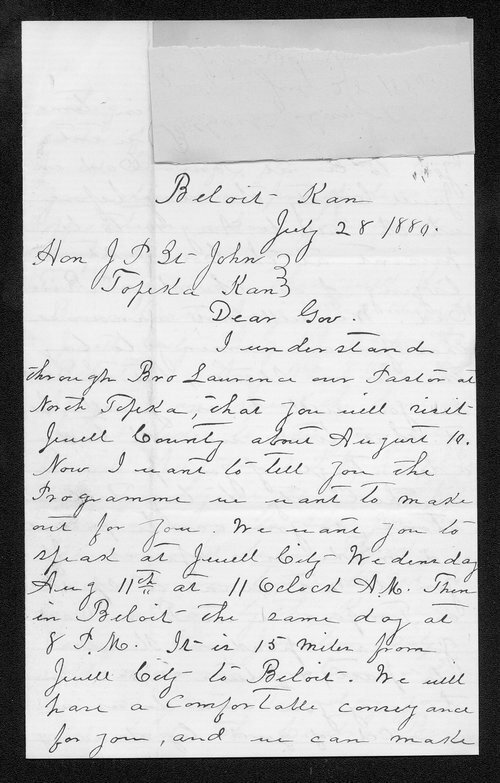 A letter from J.H. Lockwood to Kansas Governor St. John giving him a detailed program itinerary for speeches to be made in Burr Oak, Jewell City and Beloit. Lockwood pays tribute to St. John's charisma by stating "you disarm prejudice and opposition where you meet the people."